The game starts off with a few multiple choice question that give you the story of the charter you play called Henry, won’t give that muck away but to take a job to get away from your problems. The game is set in 1989. You are a firewatch ranger in the Wyoming wilderness of the Shoshone National Forest. As a Fire lookout you have your own tower base to look out for fires. It starts of simple you have to do basic tasks. Your main first task is to go and find out who is setting of fireworks. The tasks you have to do are very simple, you have to follow your map and use a compass to get around. 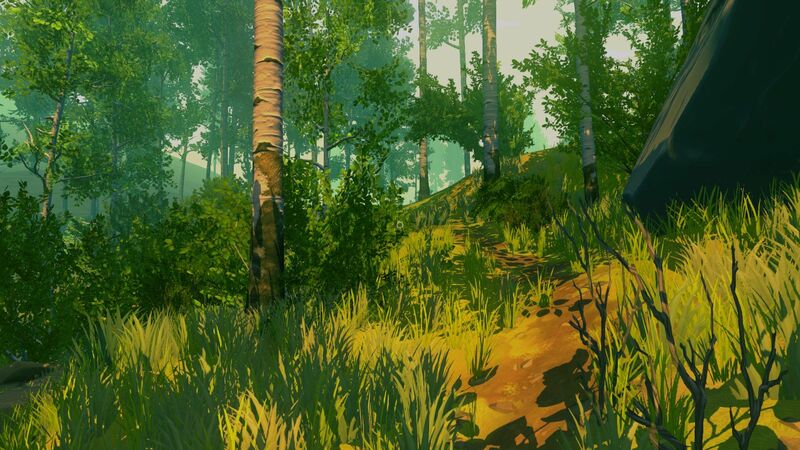 At first I got a little lost trying to follow the map, but even if you do that’s the fun of the game as you can explore at your own pace. Even though you are really alone the main contact you have is with your supervisor Delilah which you talk to over your walkie talkie radio. There are a few challenges to do, but this can be at your own pace if you want to go off wondering first you can. The story does draw you in, the more you get into the game the more information you find out about other rangers and like any mystery a missing person. For me to complete the game was around 5-6hrs, and that was exploring a bit, so not really a long game. But I found this is not a game just to get from start to finish in the quickest time. It is worth exploring and taking in the great graphics that really draws you in to imagining that you could be there. 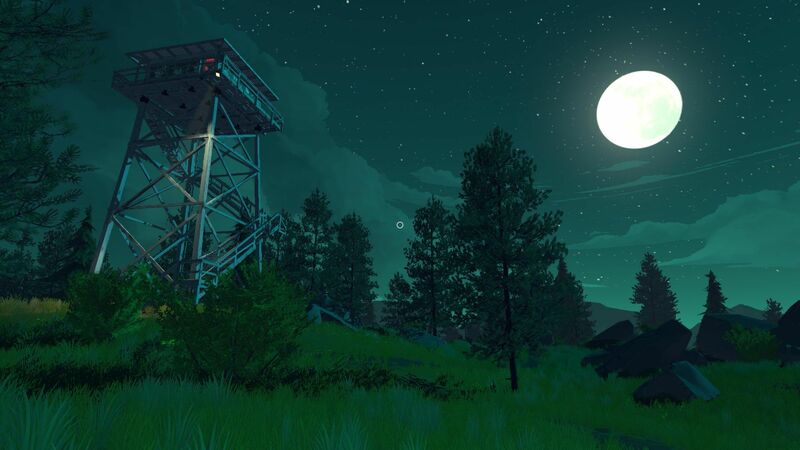 Firewatch was released on 9th February 2016 and is available for PC though steam and on the PS4 through PSN @ £14.99. It is a great game if you like exploration or story driven games, but if you more like your action games this really wouldn’t be for you. Myself I really enjoyed the story. And for me it was the exploring I really enjoyed that part. 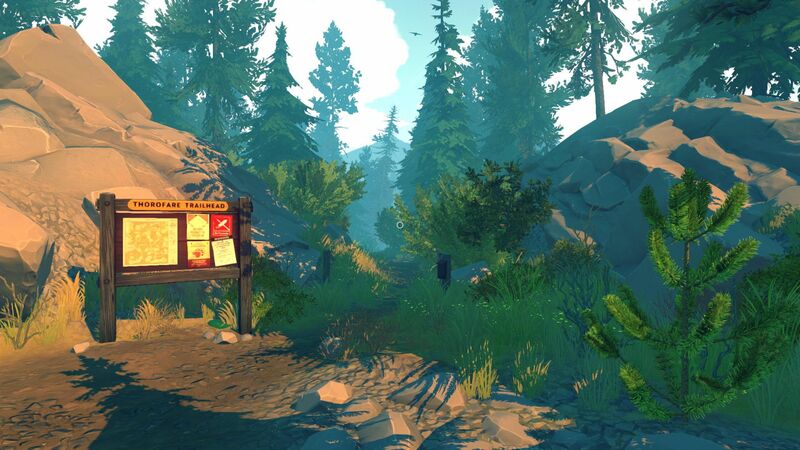 As personally I like to do a lot of walking in real life, so for me this game is perfect. The outcome at the end I assume will be the same if played again, but because the conversations you have with Delilah are multiple choice you may find out even more about your character aswell as Delilah. So I may play through this again but not just yet.